At American Family Fitness we take what you thought you knew about cardio training and turn it on its head. With our top of the line equipment and trainers to help you every step of the way, you won’t know how you got along without us! 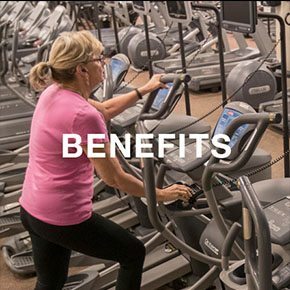 Cardio exercise at our Chester gym, on equipment like treadmills, rowers, and bikes, will strengthen your heart, tone your muscles, and rev your heart rate. Just 30-minutes of cardio every day can also help prevent certain chronic illnesses, too, (like diabetes and heart disease) and reduce your levels of stress. So what are you waiting for? Hop on to cardio today. Have you always wondered why cardio is so important? Cardio training increases your max heart rate to burn calories and fat, decreases your resting heart rate to improve your health, improves oxygen distribution, and increases energy. Cardio training at our gym in Chester is one of the many ways we help you reach your goals. A wonderful complement to cardio training is weight training. 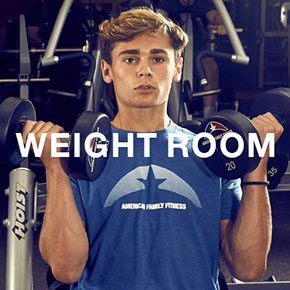 At the best gym in Chester, we offer top-of-the-line weight machines and free weights that range from 5 lbs. to 140 lbs. Find out why our members are crazy about the best gym in Chester. Come in and see us today. Does it drive you crazy to wait for equipment? At our Chester gym, you'll never have to worry about that. 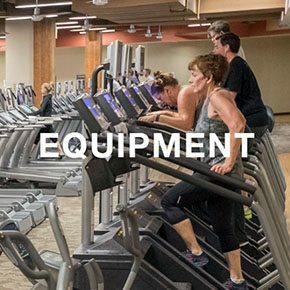 Our wide variety of cardio equipment includes rows of treadmills, elliptical machines, and bikes, as well as rowing machines and stair climbers. You will never have to wait for a machine again.